Kratz tried acupuncture, botox and visiting a chiropractor. She was prescribed a variety of drugs, including Topamax, a preventive medicine that made her “feel lightheaded, kind of fearful that I might pass out, my vision kind of blurred.” She tried Excedrin Migraines and “those seemed to work for me. I just have to take too much of it unfortunately,” she said. I have always been an artist. Mostly creating what I couldn’t afford. Paintings, furniture etc. For as long as I can remember, I’ve had clear images of art I wanted and furniture design I loved. When I lived in Memphis, I worked for a high end painted furniture designer after I graduated college. The giant octopus on the Studio 8 sign tells shoppers that they’re in for something unique. 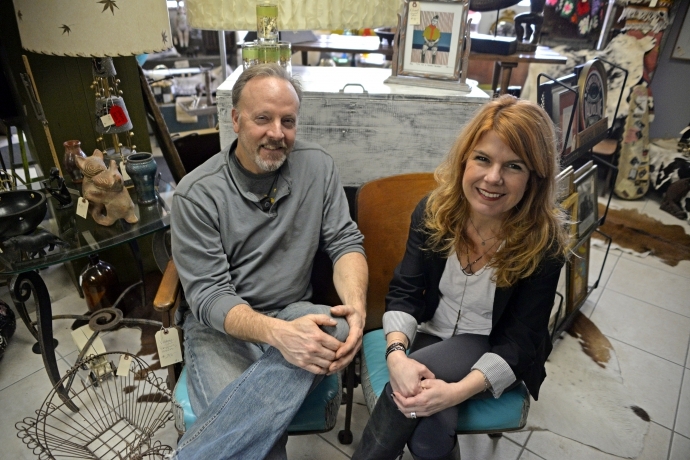 Oak Park’s newest vintage shop features upcycled, repurposed, refinished, refurbished, or fine-the-way-they-are furnishings and décor. It’s tempting to call Studio 8 an antique store. 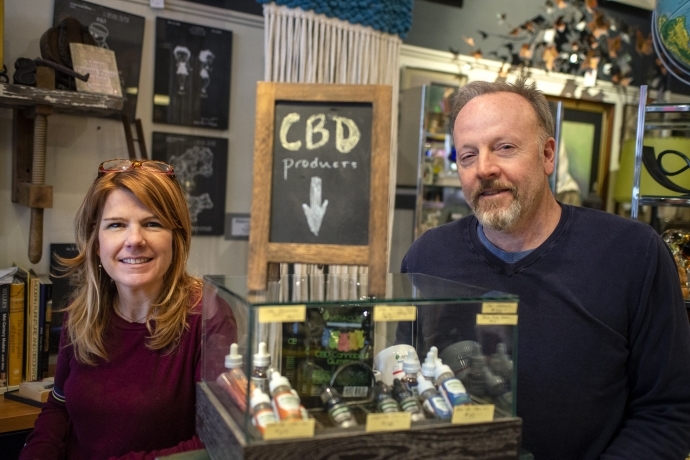 “Not so,” said Melody Kratz, owner. She prefers “vintage made modern” to describe what customers will find when they first walk into her new shop, which she plans to open in Forest Park in February after a move from Oak Park.